Human Resources Today and HR West announces the 2018 Human Resources Today MVP Awards! 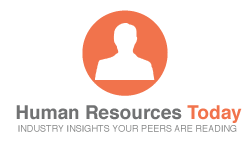 Human Resources Today brings together the best content from hundreds of industry thought-leaders. These awards will recognize the Most Valuable Posts (MVPs) as judged by our readers, award committee, and our machine intelligence and social media. We will recognize the posts that provide the highest value to human resources professionals. Winners have been announced! Click the link below to see if your favorites won!! Wednesday, December 5th: Awards winners announced! Monday, December 10th: Content-features to spotlight winners (sent out to the NCHRA community of 30K HR professionals, and mentioned on humanresourcestoday.com, our awards program partner). This is an excellent way to get national recognition as a thought leader as well as publicity not only to NCHRA's community of 30K HR professionals, but also Human Resources Today’s database of almost 300K contacts! Check it out and consider nominating.